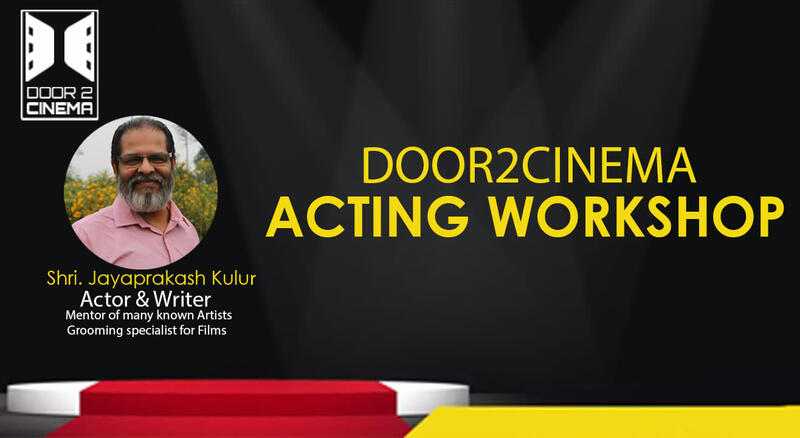 Door2Cinema 2-days resident Acting Workshop for Film aspirants is scheduled on 21 Sep to 23 Sep at The Village resort at Angamaly. The classes will be taken by Shri. Jayaprakash Kuloor (widely called as കുളൂർ മാഷ് ), a renowned Actor and Writer in Malayalam Industry. He has been a mentor for many famous Artists in Malayalam Industry, and he himself has done many important characters in many films, including a Hollywood movie. Also, he is one of the key person in grooming for films and reality shows in various channels.